1: Long Runner 740mm for Max Torque and HP. 2: Muffler Diameter Options of 150mm for Max Power Plus Quiet. 4: Two threaded O2 sensor slots to fulfill all your needs. 5: X-pipe SUPER FLOW chamber. 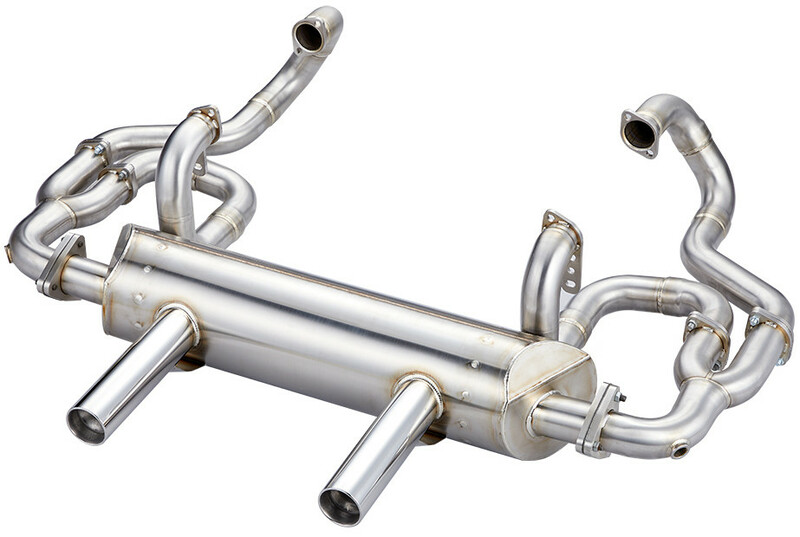 6: Tail pipes Wrapped with Stainless steel mat, for long life. 7: Clear GENE BERG traction bars. 8: Clear Original Thermostat And Tins. 9. Extra support brackets bolt from flange to flange.